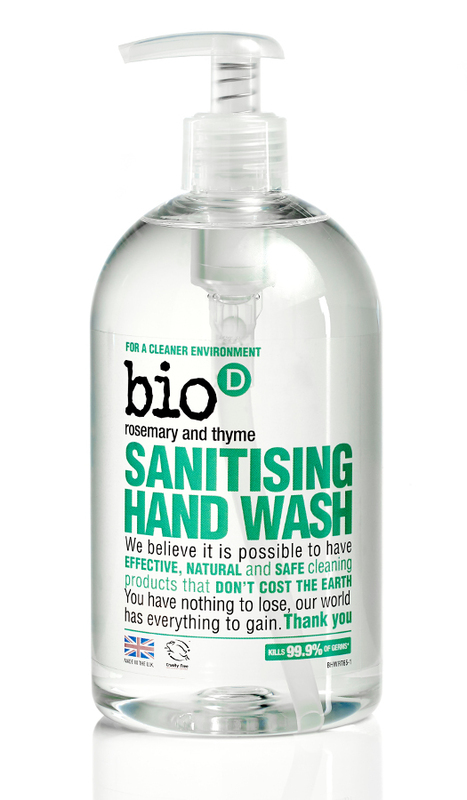 With the woody scent of Rosemary blended with the heady aroma of Thyme, Bio D’s newest organic anti-bacterial hand wash is food safe, gentle on skin, and suitable for domestic, catering and office uses. It is tested to BSEN1276 (food grade) standard It will kill 99.9% of harmful bacteria including Salmonella, MRSA and E Coli. UK made from sustainable and naturally derived raw materials that are readily biodegradable; it also contains no phosphates, petrochemicals, enzymes, synthetic perfumes or preservatives, and is cruelty free certified. 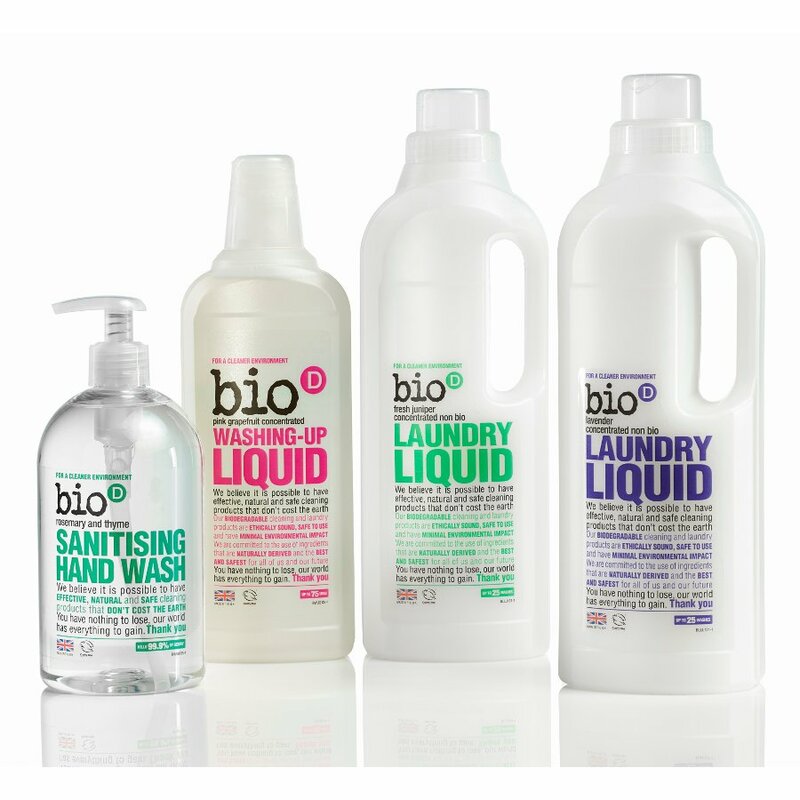 The Bio D Sanitising Hand Wash Rosemary & Thyme - 500ml product ethics are indicated below. To learn more about these product ethics and to see related products, follow the links below. Great handwash, but prefer the lime or geranium ones personally. This certainly does have a nice strong, natural, scent of thyme and rosemary. 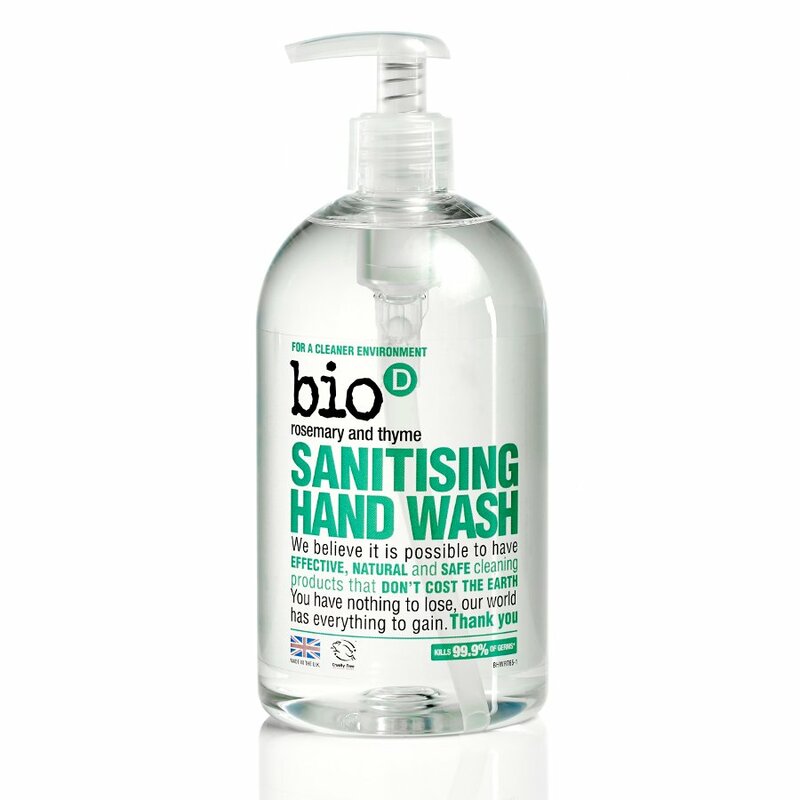 There are currently no questions to display about Bio D Sanitising Hand Wash Rosemary & Thyme - 500ml.